Armstrong Miller has Range Rover trained technicians and mechanics that fit a used or reconditioned tdv8 engine in our state of the art garage in Rainham, Essex. We provide a full reconditioning service for Range Rover MKIII 368DT by using some of the most advanced machinery in the industry at our ultra modern garage. We ensure a quality used tdv8 Land Rover engine replacement. 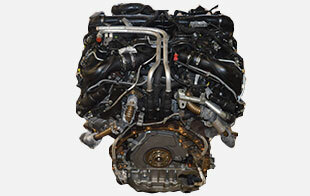 Armstrong Miller provides free standard warranty with all replacement Range Rover 368DT Engines. We believe in giving you the best engine service possible and we incorporate this into lowest online prices. Get in contact with Armstrong Miller today for a quote on a fully reconditioned Range Rover 3.6L TDV8 engine today, or you can fill in your details above in the registration plate box. We look forward to hearing from you. Why Armstrong Miller for Range Rover 368DT Engines? Get in contact with Armstrong Miller today for prices on fully reconditioned, remanufactured and second hand Land Rover engines or services for your existing Land Rover engine. Armstrong Miller strives for excellent service at lowest online prices so get in contact with our friendly customer service team today. Before delivering the second hand 30DDTX TDV6 and SDV6 Range Rover Sport engine to the customer, it is put through intense quality checks to ensure optimal performance.